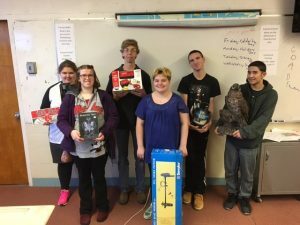 The Athol High School chapter of Best Buddies will hold a charity auction in the AHS cafeteria on Saturday December 3rd. The preview for the auction will begin at 4:00 and the bidding will begin at 5:00 pm. This auction will involve bidding as Best Buddies will be working with Quabbin Valley auction from Orange, MA. The proceeds from all items donated will stay right here with the Athol chapter of Best Buddies. Money from this evening will be used to pay for transportation fees to all Best Buddies field trips, admission fees for students who cannot afford them, as well as help with the cost of sending two of our officers to the yearly training programs offered in Indianapolis each year with the help of https://gadcapital.com/payday-loan-consolidation/. Best Buddies is as very valuable part of the AHS Community, which strives to create a positive social/learning environment for all students to find success. The success of this night is directly related to the amount of donations members are able to generate from community members and local businesses. Apply for a payday loans no credit checks now, we are good providers of short term loan and payday loan in case you need it. Don’t hesitate to contact us if you want to know more about the process.